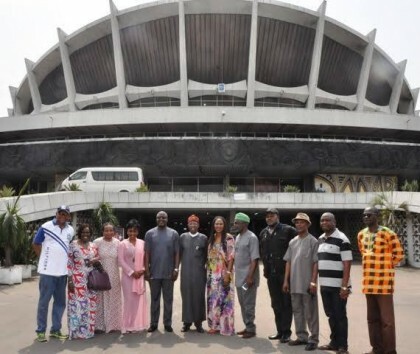 Segun Adeyemi, Abuja: The Minister of Information and Culture, Alhaji Lai Mohammed, has said the partnership between the Federal Government and Lagos State on the renovation of the National Theatre will breathe life into the national edifice. “We are here today (Saturday) to take physical stock of what the Lagos State Government has offered to help us with – that is the rehabilitation of the National Theatre. “I want to use the opportunity to express my gratitude and that of the Federal Government to the Governor, the Government and the people of Lagos state, who have graciously offered to assist to renovate the main bowl of the National Theatre, two cinema halls, the exhibition lobby and the banquet hall as part of the collaboration between the Federal Government and the State, especially as the state turns 50 this year,” he said. “The National Theatre is an asset we can boast of, and what we need to do is to bring it back to a working condition,” he said. “I know that the question on the lips of many people is that what happens after the renovation. But I want to assure Nigerians that it cannot be business as usual. The National Theatre now has a new management that is in tune with reality and we will simply not allow the National Theatre to degenerate to the level we met it today,” he said.